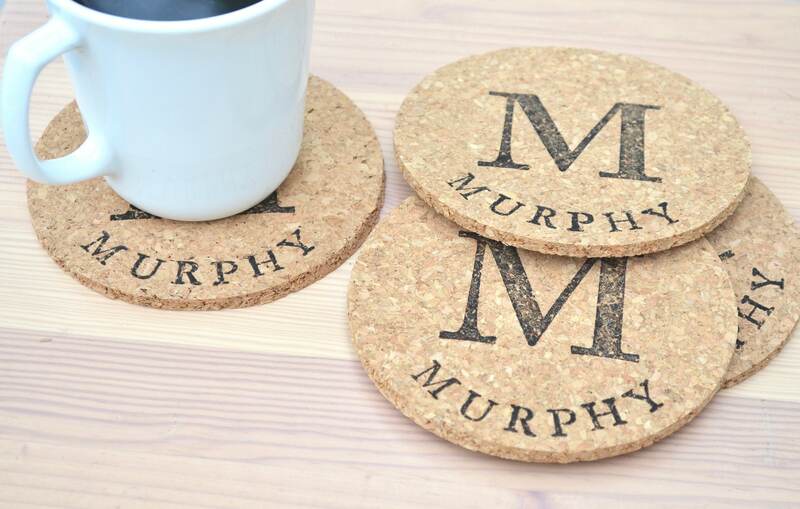 Personalized Cork Coasters - Set of 4 coasters featuring a large monogram and the name or word of your choice! Leather upgrade available. 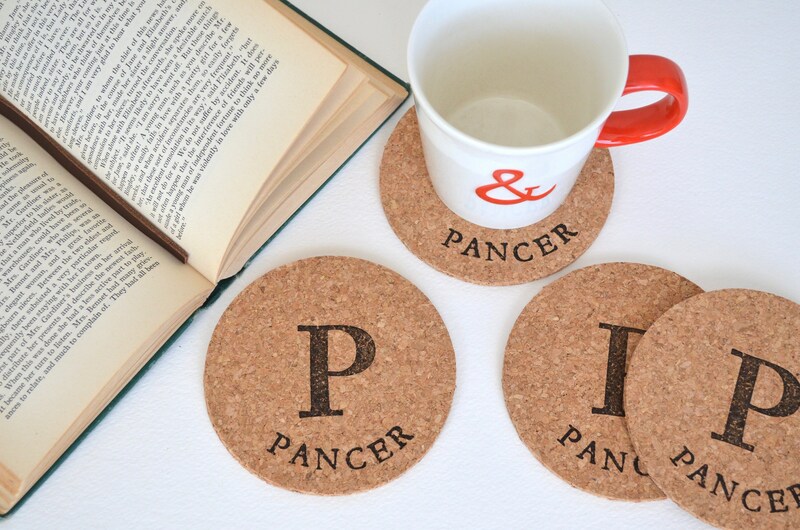 Decorate and protect your table top with these charming, timeless 4.5" round coasters! They can be personalized with the name or word of your choice. So if you have something special in mind, just let us know and we will work with you to design a custom product for you (custom fees may apply). 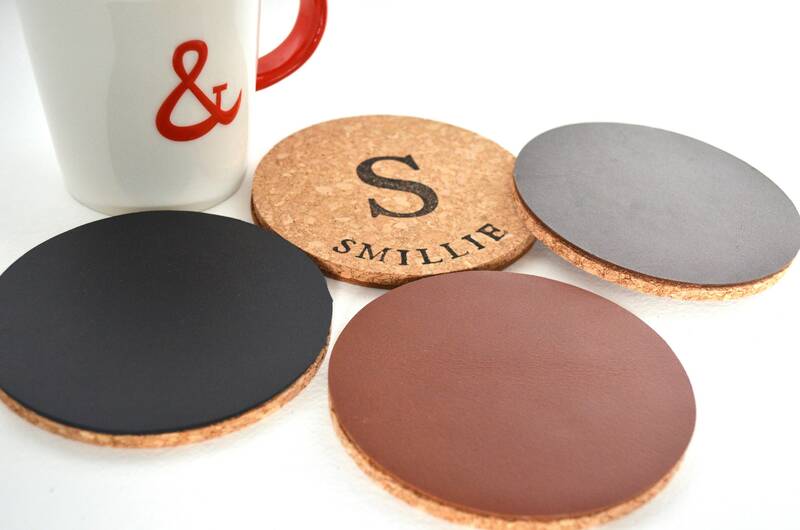 Upgrade your coaster set with full grain leather for a more durable, longer lasting coaster! 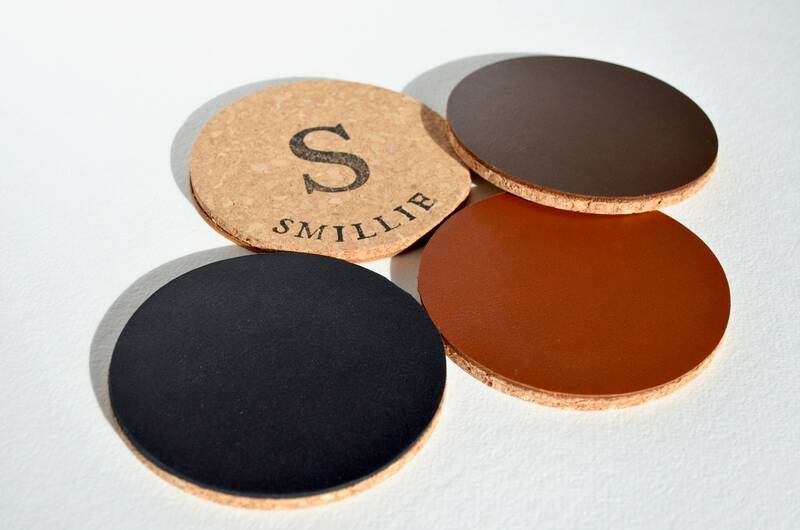 Upgraded coaster sets combine hearty leather and absorbent cork to create the perfect combination to protect your table finish. 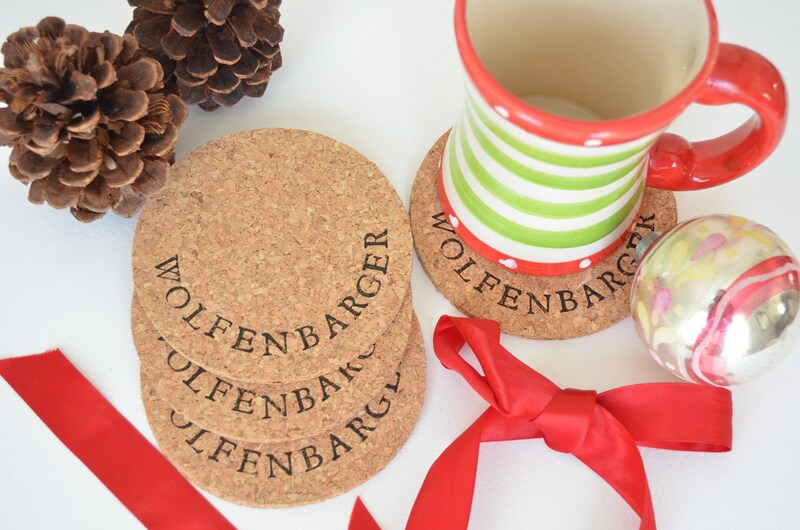 When ordering, please be very specific when leaving the name or word you would like on these coasters in the "note to seller" section or in the personalization field. Making sure to describe the layout you envision as best as possible. If we have questions, we will contact you. When we personalize them for you, we stamp each letter by hand with waterproof ink, making each one a unique artisan piece for your home! 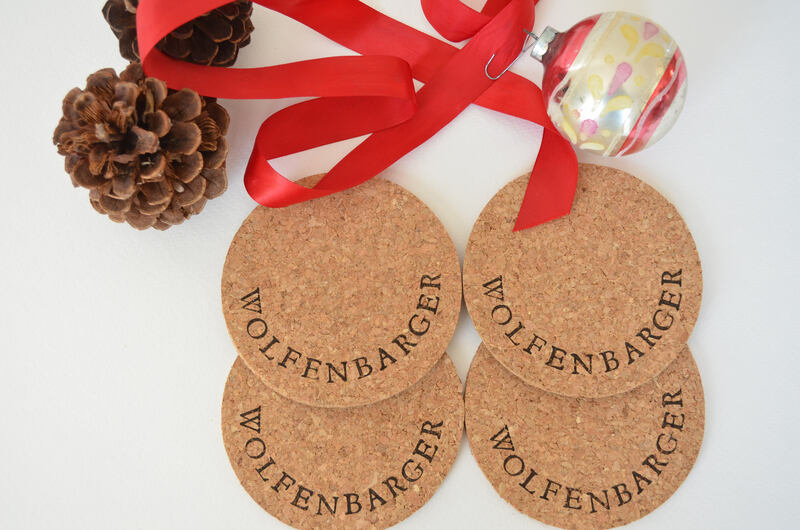 They come packaged in clear bags, ready to gift or use in your own home. 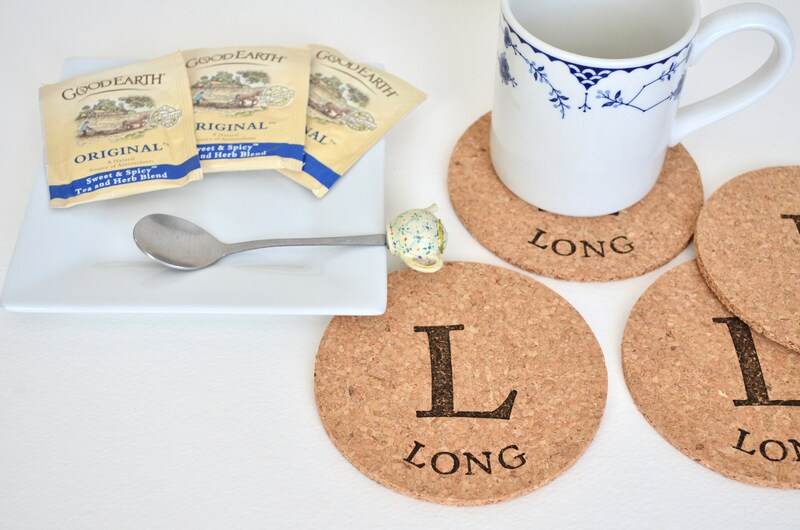 Each cork coaster is handmade from natural cork (a renewable resource!) and measures 4.5" (11 cm) and 5mm (.19in) thick. 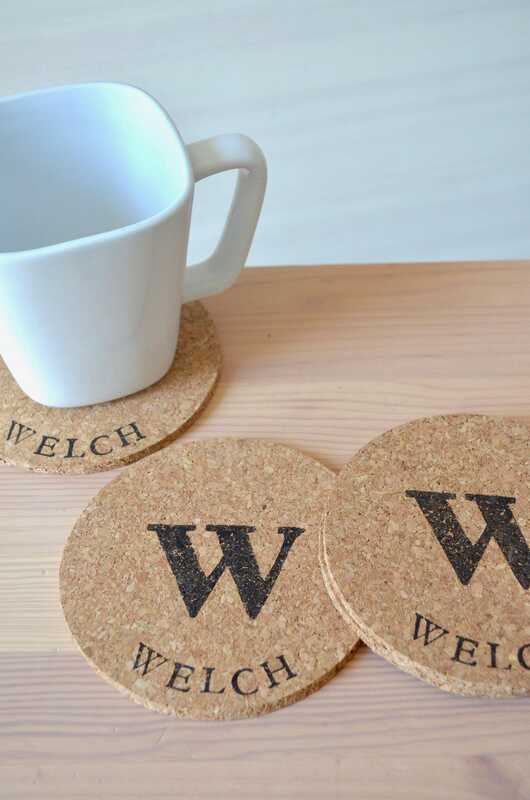 Please note that, because these coasters are made from natural materials, there may be some subtle variations in color or texture which may impact the inking processes. loved loved them! thank you very much!